Daniela offered a workshop in the Basement Gallery of the Lab introducing participants to her practice and her working methods. Daniela is a stage and light designer who creates visual and transparent spaces of light for stage and outdor environments. 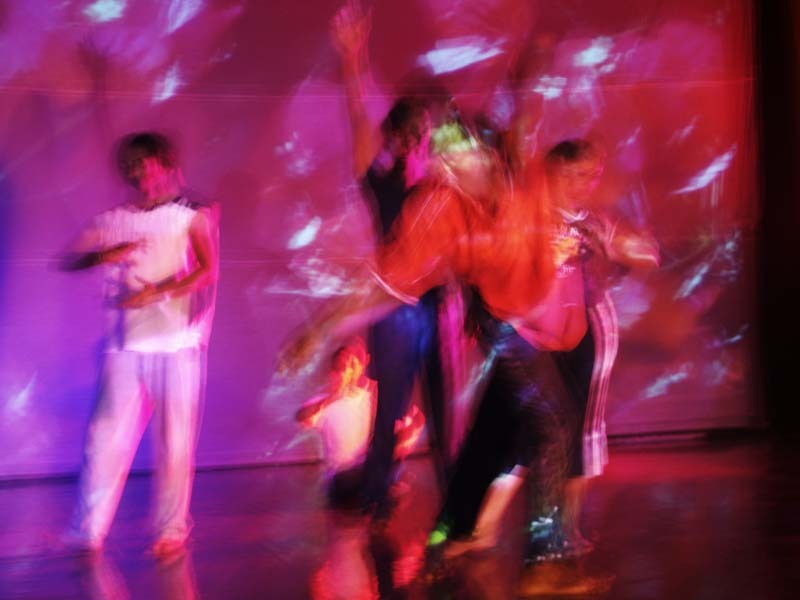 Her artistic use of light combined with dance and new media transforms stages, factory halls, discos and historical ruins into spaces of light and color. Demonstrating some aspects of her work, Daniela pointed out the relationships between the use of light and the use of (video) projections in dance. professional scenographer, light designer, with a backgound of studies at the Rijksacademie in Amsterdam and at the University of Zürich, and a degree in the history of art. She is a co-founder of two intermedia atelier associations: raum-2 and koprod. In Zürich, these platforms provide studio and performance space, and contacts for lively artistic collaboration. But she is also an initator of intermedia und intercultural projects, and has worked repeatedly in Bangalore (India). It was due to Daniela's introduction that Digital Cultures Lab was able to make contact with Jayachandran Palazhy (Attakkali Center for Movement Art) in Bangalor and invite him to Nottingham. 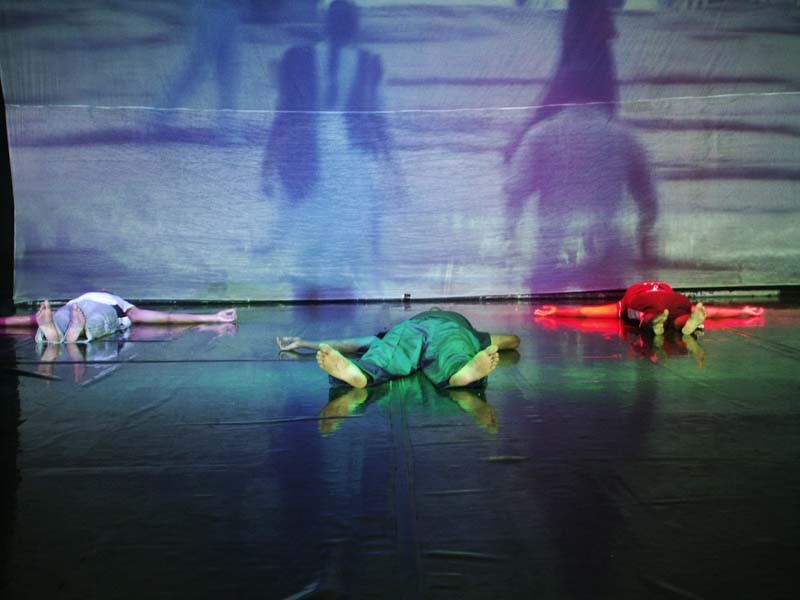 Jayachandran will also participate in the renowned IN TRANSIT festival laboratory at the Haus der Kulturen, Berlin, in May/June 2006, where on Mat 29th he will collaborate with Johannes Birringer and Fabiana Britto (Bahia) in a workshop on mind/body technologies. Leaving the stage and art spaces, the newest artistic interest focuses on the visual transformation of cities and public spaces. the collaboration with international artists of various medias and cultures are an important concern of the artist. This aspect of her work also found a uniquely interesting link, during the Digital Cultures Lab, with Margarita Bali's installation, the miniature version "Pizzurno Revisited" which he specifically constructed for Nottingham and the Powerhouse Basement Gallery after having mounted a massive site specfic dance installation-performance with her company in a major building in Buenos Aires. Alongside her productions in Europe, Daniela Zehnder lives and works for three month of the year in India, where she leads workshops for young digital artists and dancers in education. 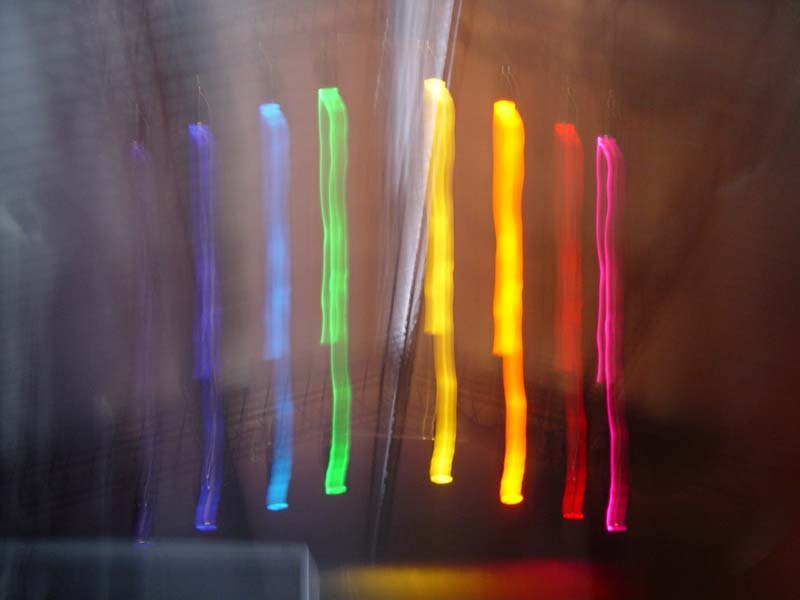 For her newest activities she works with Light as an independent medium and creates collaborations with international artists of various fields. She sees light as a communicative and connecting medium.